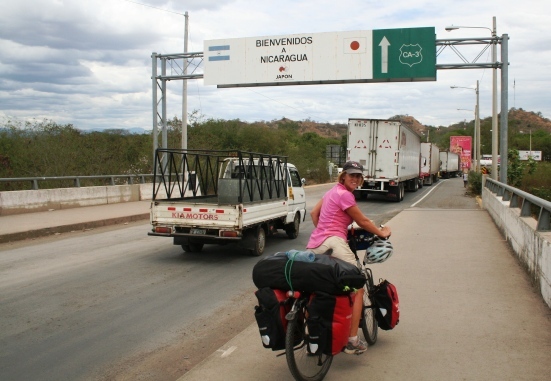 Nicaragua is becoming a popular stop on the South America overland travel circuit. You're bound to meet up with lots of backpackers and probably pass a few cyclists to boot. From well-preserved Colonial towns such as Leon, to smoldering volcanoes and crystal clear lakes, Nicaragua's got a lot to entice. Thanks to a major cash infusion from the EU and Japan, Nicaragua has got some beautiful roads--a cyclist's dream with shoulders wide enough for two. And finally you're in store for some easy cycling. With few climbs, Nicaragua's a place you can just cruise along enjoying all the fine scenery. El Salvador Map: scale 1:650 000. Although much of the country is fenced off ranch land, camping is possible in Nicaragua. We camped twice in Nicaragua, once we pitched up at a rural school and the second time we camped in back of a restaurant near the Costa Rica border. Locals were very helpful on both occasions. Most towns will have a guest house, although in smaller towns lodgings may be attached to the local bar--better to steer clear of such places and try the church down the street. Couchsurfing is also an option in Leon and Masaya. Hotels are more expensive in Nicaragua than in Guatemala or El Salvador, making them relatively bad value for the region. Food costs are reasonable, less expensive than Costa Rica and about on par with El Salvador. $10 a day should be plenty if you do a bit of camping and eat street food. 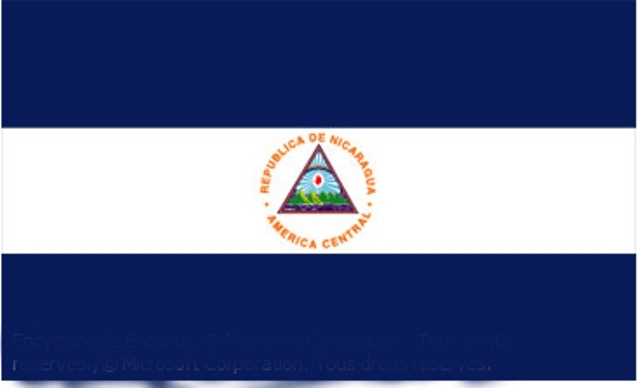 Nicaragua is one of the safer countries in Central America. Town centers are lively in the evening, unlike in neighboring El Salvador where most things shut down once the sun sets. There have been reports of highway attacks near the lonely stretch of road leading to the Costa Rica border, so it's probably better not to cycle there too early or late in the day. Any advice or questions about Biking in Nicaragua?